PORTSMOUTH, N.H. — The Pease National Guard Base is ready for a new era. 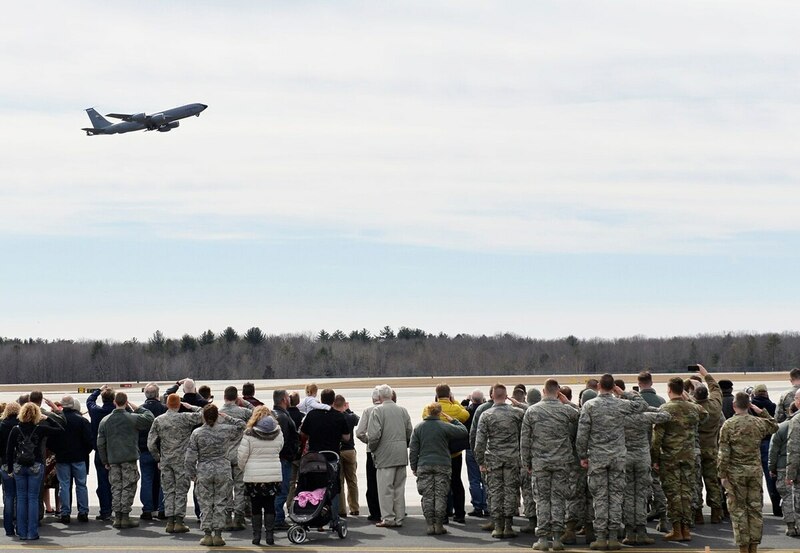 Seacoastonline.com reports current and retired New Hampshire Air National Guard men and women said farewell Sunday to the last KC-135 tanker plane on duty at the New Hampshire base. The Stratotanker, an Eisenhower administration-era aircraft that’s the oldest plane on duty in all of the U.S. Air Force, was bound for redeployment at Goldwater Air National Guard Base in Phoenix. The Air Force is set to get its first long-delayed Boeing KC-46 Pegasus air-refueling tankers at McConnell Air Force Base in Kansas. The new KC-46A Pegasus air refueling tanker is arriving later this year. Among the last plane's missions was its part in Operation Rolling Thunder, the sustained bombing of North Vietnam over a three-year period. Some squadrons might have a capability gap as KC-135s retire and KC-46s come online — and lawmakers are concerned. “Bittersweet” was the word of the day as several hundred active duty Guard and Air Force members, retirees, family members, and others attended the ceremony.